For years I used Excel and Google Spreadsheets for a gradebook until a friend of mine told me about Engrade. It was simple to use, weighted assignments, printed out nice reports, and was well... free. 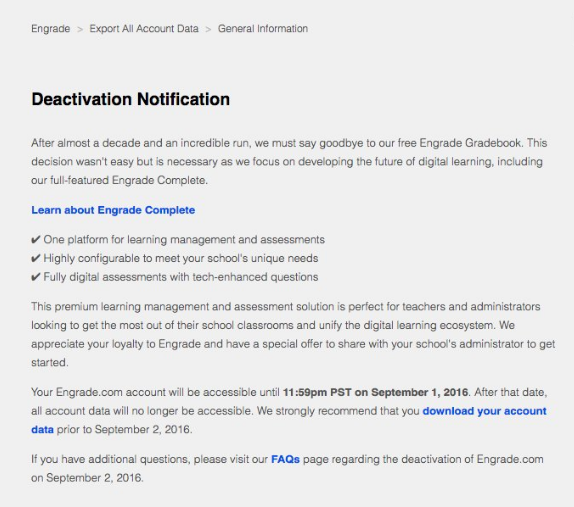 Well Engrade is no longer available (take a look at the screenshot below). 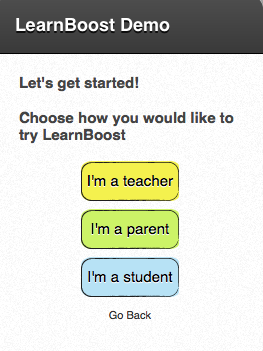 So, I did a little research and while there are numerous free gradebooks out there - it looks like Learnboost is a nice alternative. When you log on to the site you can view the site through the eyes of a teacher, parent, or student who is currently using the site. Embedded below is a helpful video created by Learnboost to showcase their site. Should you have any questions, or other free gradebooks that you currently use, please let me know. ** Update ** Click here for Richard Byrne's suggestions for grade books.